9880 is 4 in 1 Particle Counter with 2.8 color TFT LCD display & a microSD memory card for capturing images(JPEG) or video(3GP) for viewing on your PC, providing fast, easy and accurate readings for particle counter, GAS (HCHO,CO) detectors, air temperature & relative humidity, most surface temperature measurements. It is the fi rst combination of these measurements in global, would be the best instrument for environment protection and energy save. The dewpoint temperature measurement will be very visiable for wet and dry proof. 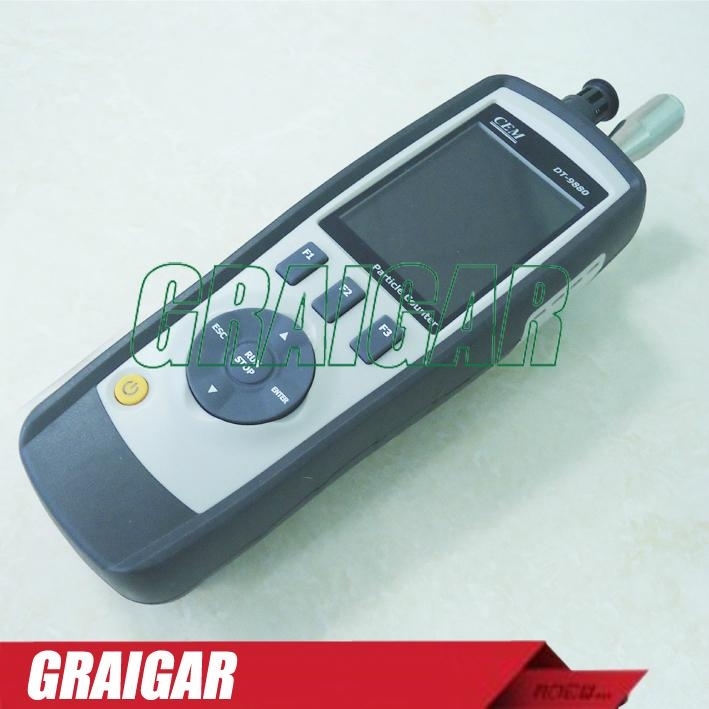 It is a good hand for industrial measurements and data analyzing, the real scene and time can be displayed on color TFT LCD.Any memory readings can be recorded in SD card The user can be back in offi ce to analyze the measured air quality under the support of software.